I know, I know, autumn is almost upon us—the cool, clear mornings remind me of that. And yet...we've still got pretty hot weather here during the days. I feel like I'm food limbo, vacillating between summer and fall food. I'm okay with that because I love food from every season! Truth be told, I make this ridiculously easy tomato salad year-round, but it's best in summertime or early fall when delicious tomatoes are plentiful. It's perfect for outdoor parties and barbecues because when the cheese warms up a bit it gets extra creamy—the perfect balance to the juicy tomatoes, crisp onions, and sweet balsamic syrup. 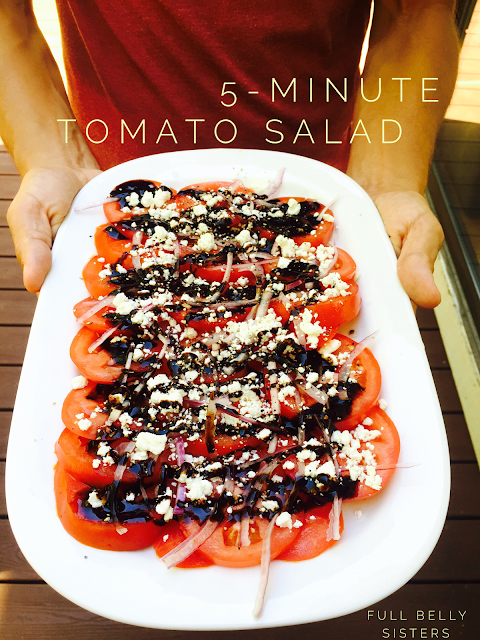 This recipe is easily adapted to make more or less salad. Sometimes I just take a tomato and make up a plate of this for myself as a light, low-calorie lunch. If you're serving it as a side dish, assume about half a tomato per person. 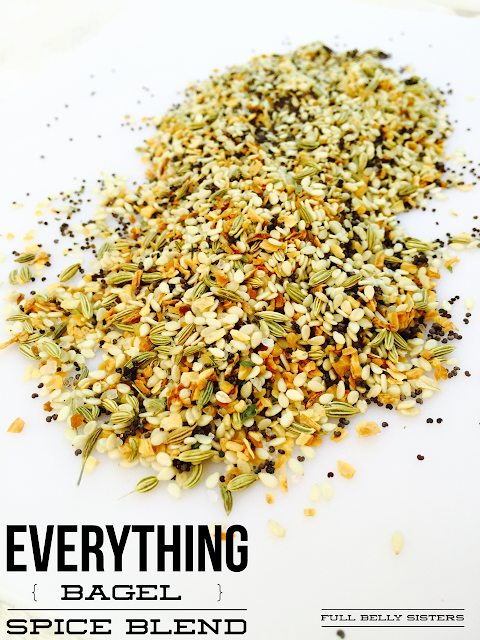 Now, with such a simple dish, it's important to use great quality ingredients. Get ripe tomatoes, good cheese, and a nice bottle of balsamic glaze —or make my homemade version, available in my post for Grilled Zucchini with Goat Cheese and Honey Balsamic Syrup. Slice the tomatoes and arrange on a large plate or platter. 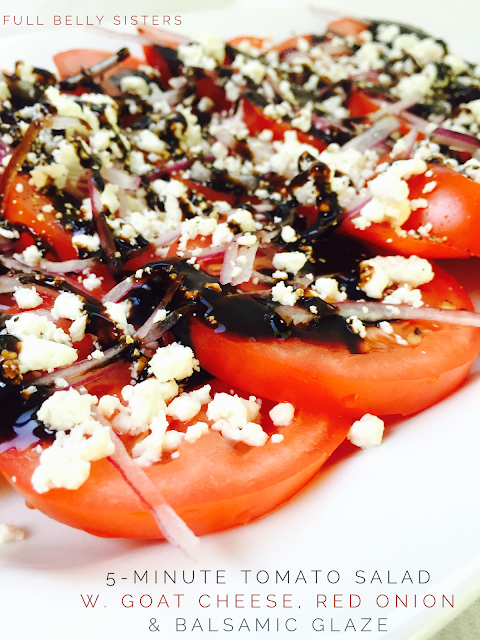 Scatter the paper-thin slices of onion over the tomatoes, then top with the crumbled goat cheese. 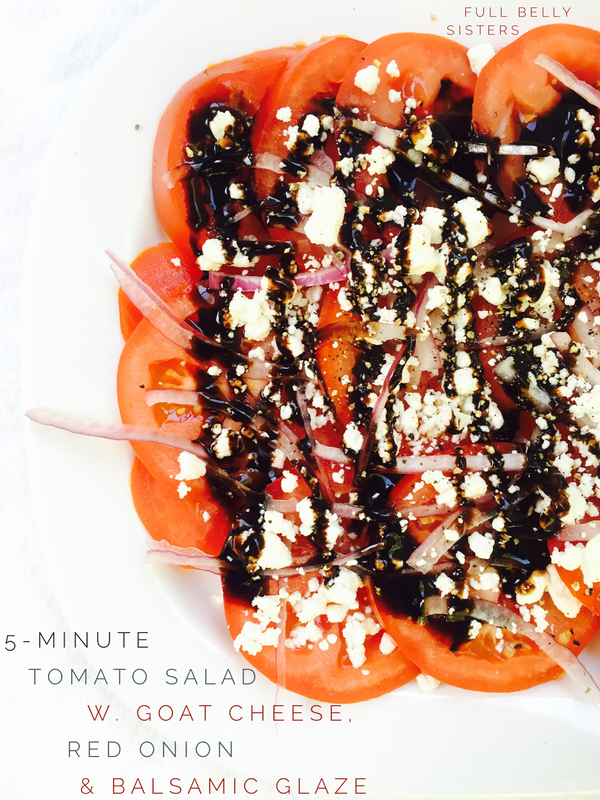 Drizzle the balsamic glaze over the entire salad. Top with a bit of salt and a generous amount of pepper. I think this nutritious salad is quite elegant (despite the fact that it is so easy to put together) and I usually eat it with a knife and fork. However, when I recently served it at a barbecue, some people were picking up the tomato slices and folding them, taco-style, to eat them! Just goes to show how versatile this salad really is. Are you still eating summer yummies, or are you ready to chow down on fall foods? This is totally my kind of meal! I love this. And with some beautiful fresh summer tomatoes... awesome! 5 minutes, no ways! Perfect! Great stuff! Good looking hands holding that 5-Minute Tomato Salad w. Goat Cheese, Red Onions & Balsamic Glaze! Absolutely love tomato salads and your recipe looks amazing! This looks like a delicious tomato salad.